Fiat brought out two new design concepts at the Detroit Auto Show, both intended to expand the appeal of its 500 Turbo and 500 Abarth models with upgraded and unique appointments inside and out. First up is the Fiat 500 "Cattiva," based on the 500 Turbo, painted with a vibrant Rame (Copper) exterior with contrasting Nero (Black) accents. The turbocharged 500 features gloss Nero headlamp buckets, parking lamp bezels, tail lamps and a roof-mounted spoiler. Special 16-inch alloys, painted satin dark gray, hint at the sport-tuned suspension inside each fender. The appointments are continued inside its cabin with leather sport seating, Matte Nero instrument panel and other trim upgrades. Lastly, the sound package is the segment-exclusive Beats Audio system. The Fiat 500 "Tenebra," based on the 500 Abarth, is painted in Matte Grigio (Gray) with Nero accents, just like its sibling. In addition to gloss Nero headlamp buckets, parking and tail lamps, it is fitted with 16-inch alloys with a Nero chrome finish. Setting itself apart, the signature Abarth bodyside stripes (and mirror cap) are Grigio in color and there is a large Abarth "Scorpion" logo on the roof. Inside the cabin, the Tenebra features performance seats with leather upholstery, a flat-bottom steering wheel and other cosmetic upgrades. Like the Cattiva, the Beats Audio system is standard. Check out live galleries of both the Cattiva and Tenebra models, and then read the full press release after the jump. 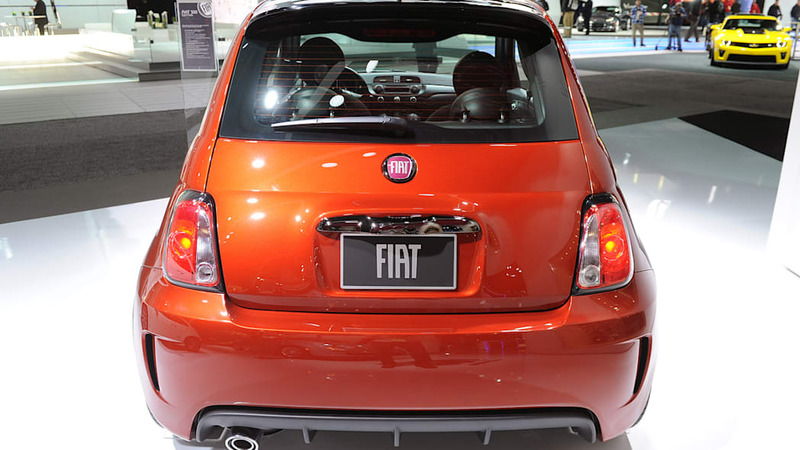 January 11, 2013 , Auburn Hills, Mich. -- The FIAT brand continues to showcase the design potential of the Fiat 500 lineup with two new design concepts that will debut this month at the 2013 North American International Auto Show. 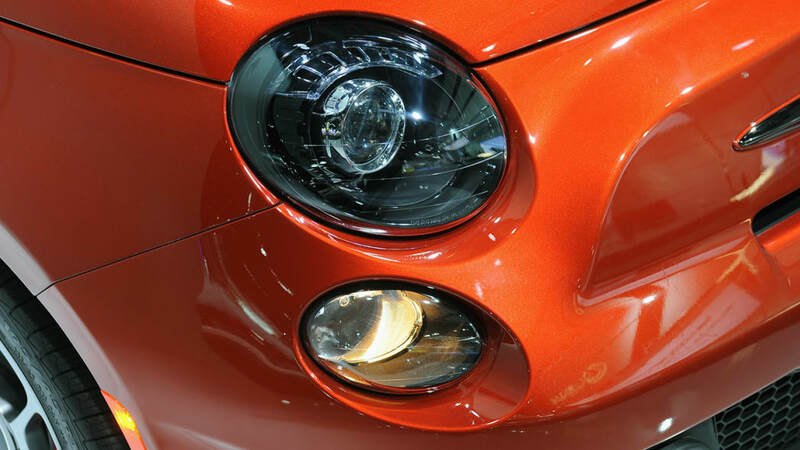 The models are based on the successful high-performance Fiat 500 Abarth and the recently launched Fiat 500 Turbo, and they showcase how unique, sporty and personal their 500s can look. 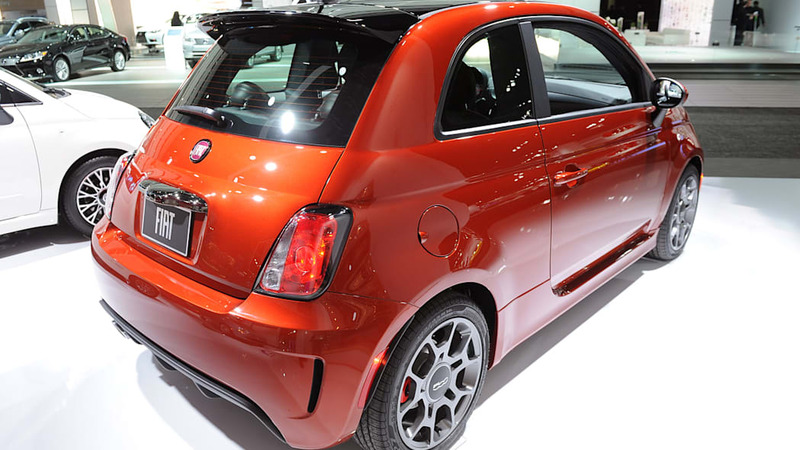 At the show, the FIAT brand will also display the 2013 Fiat 500 Abarth Cabrio, the all-new battery-electric 2013 Fiat 500e, and the 2014 Fiat 500L and Fiat 500L Trekking, which expand the Italian design and character of the 500 by adding two more doors plus comfortable accommodation for five passengers. All of these models were revealed at the 2012 Los Angeles Auto Show in November 2012. 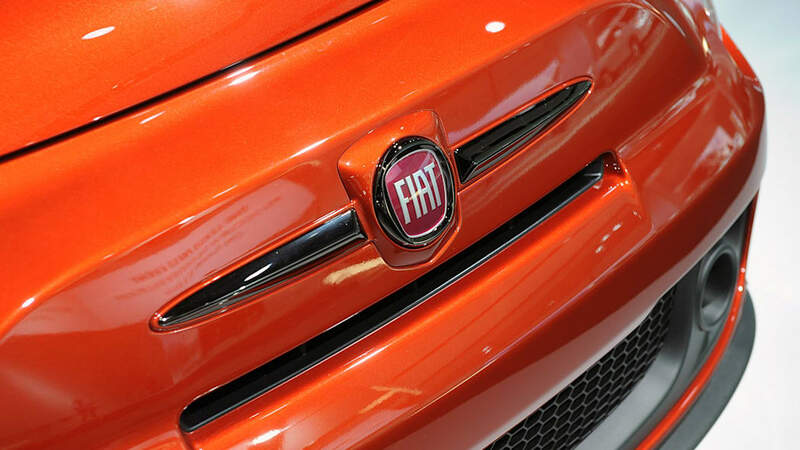 "We are not standing still," said Tim Kuniskis, Head of FIAT Brand North America. "In 2012, we broke a record by selling more than 50,000 units in North America. A few months ago, we revealed four all-new vehicles that will carry our sales momentum into 2013. Now, at the Detroit show, we showcase how the smart use of accessories and clever design elements enhance the personality of our 500, which becomes the perfect canvas for personalization and self-expression." Building on the success of the Fiat 500 Abarth – the brand's halo model, which sold out in only two months after being first introduced – the Fiat 500 Abarth Tenebra is designed for driving purists who crave more exclusivity and style from the only high-performance small car with the pedigree of an Italian exotic in the U.S. market. 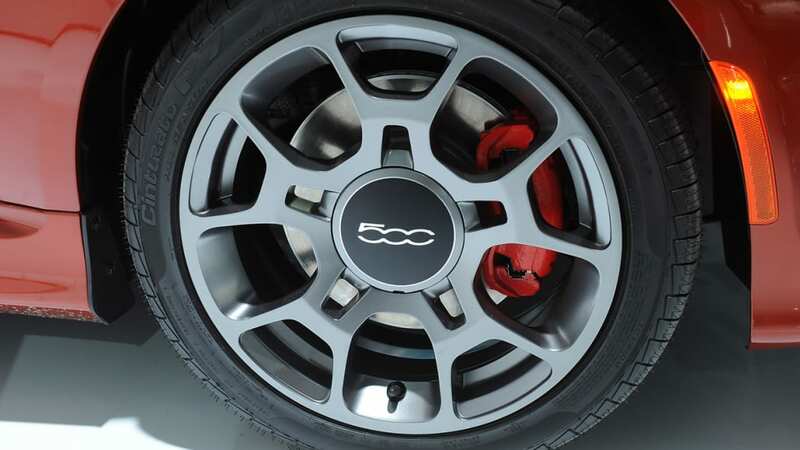 Matte Grigio (gray) exterior paint provides the new Fiat 500 Abarth Tenebra with an individualized look. This Cinquecento features new Nero (black) Chrome exterior accents, Gloss Nero headlamp, tail lamp and parking lamp bezels, and new lightweight 16-inch Hyper Nero Chrome Abarth design aluminum wheels. For even more distinction, the signature Abarth bodyside stripe and mirror cap are Grigio in color and remain glossy for added contrast. 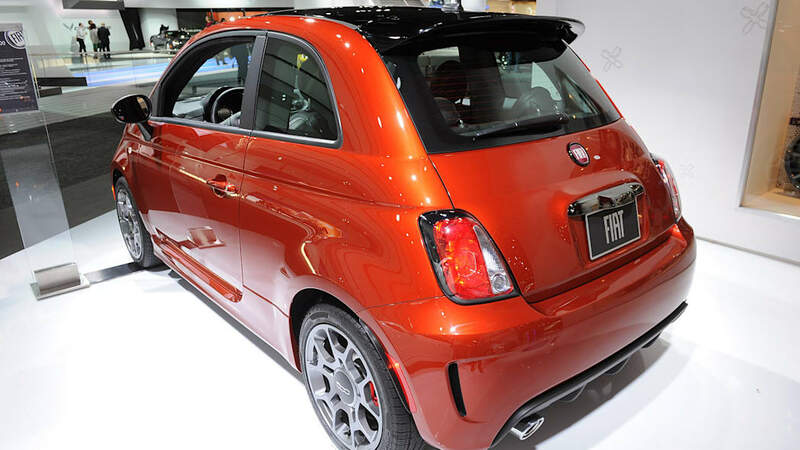 For a bold finishing touch, a Gloss Grigio roof-sized Abarth "Scorpion" logo delivers an unmistakable look. The exclusive contrast of Grigio and Nero continues on the inside of the Fiat 500 Abarth Tenebra. Unique Abarth designed front performance seats with racing-harness pass through are finished in Nero leather with Grigio piping and accent stitching. For a touch of craftsmanship, the signature Abarth flat-bottom steering wheel and instrument-panel cluster brow are wrapped in Nero leather and finished with Grigio accent stitching. Providing a highly technical look, authentic carbon fiber with a matte finish spans the width of the instrument panel, while Grigio accent stitching has been added to the shift knob and parking brake handle. Adding a high-definition music experience the way the artist intended, the segment-exclusive Beats Audio system is standard and includes six premium speakers, an 8-inch dual-voice coil (DVC) subwoofer with trunk-mounted enclosure and 8-channel amplifier with Beats Audio's proprietary digital sound processing (DSP) algorithm. 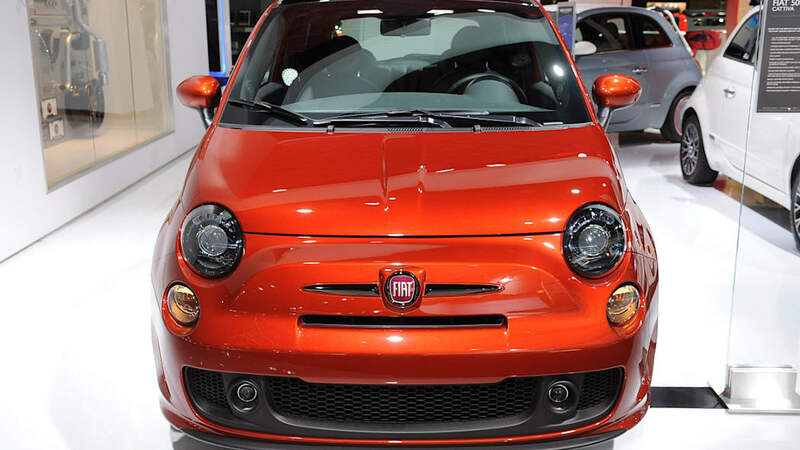 The new Fiat 500 Cattiva adds even more excitement and style with its turbocharged engine, vibrant Rame (copper) exterior color and contrasting Nero accents for a bi-color appearance. Inspired by the new 2013 Fiat 500 Sport and Turbo, the Fiat 500 Cattiva design concept includes Nero Chrome exterior accents, Gloss Nero headlamp, tail lamp and parking lamp bezels, and a sport-tuned suspension with unique 16-inch satin dark grey painted aluminum wheels. For a bold appearance to the iconic Cinquecento silhouette, the roof and aggressive liftgate spoiler are painted Gloss Nero for a distinctive bi-color look. 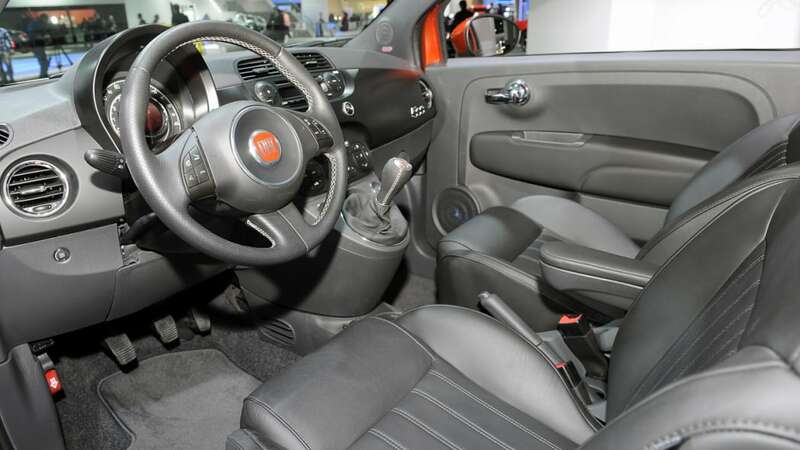 Inside, the Fiat 500 Cattiva features a Nero interior environment and leather sport seating with a unique Matte Nero instrument panel. For additional detail, a Nero leather-wrapped sport-designed steering wheel is hand-stitched with Argento (silver) stitching, as is the matching manual transmission shift knob. 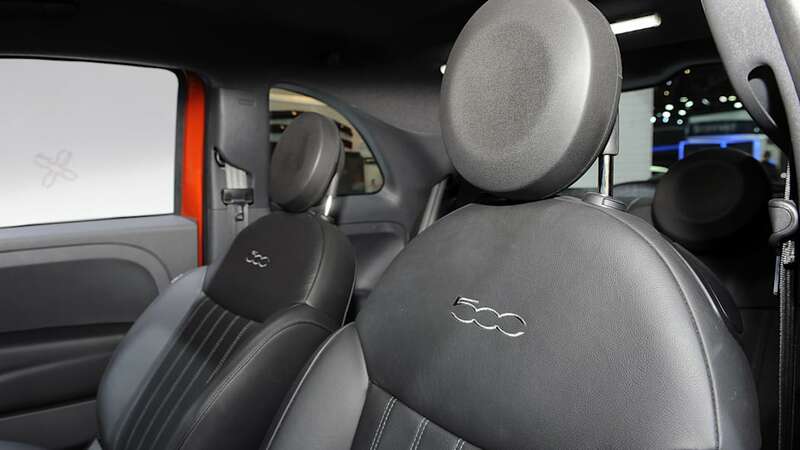 And for high-performance sound, this Cinquecento design concept includes the segment-exclusive Beats Audio system. 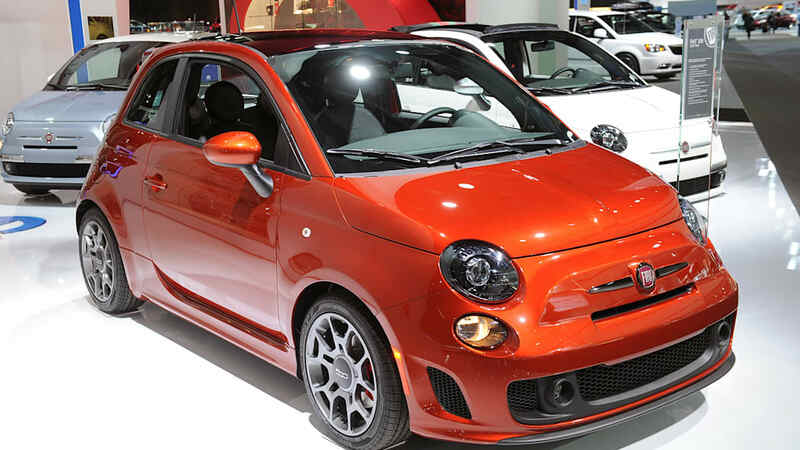 Reminiscent of the original Cinquecento, the Fiat 500 and Fiat 500c (Cabrio) build on the vehicle's global popularity. Since its initial launch in 2007, more than 1,000,000 Fiat 500 vehicles have been sold in more than 100 countries around the world. The model's unquestionable popularity is the result of the Fiat 500's great ability to deliver unmatched personalization options with advanced solutions in terms of quality, engine and passenger comfort. In addition to success on the sales front, the Fiat 500 has earned more than 80 international awards, including being named the 2008 European Car of the Year, 2009 World Car Design of the Year and Best New Engine of 2010 (Fiat MultiAir® Turbo). In the U.S., the 2012 Fiat 500 was named "Best Buy" in the subcompact category by Consumers Digest and was deemed a "Top Safety Pick" by the influential Insurance Institute for Highway Safety (IIHS). 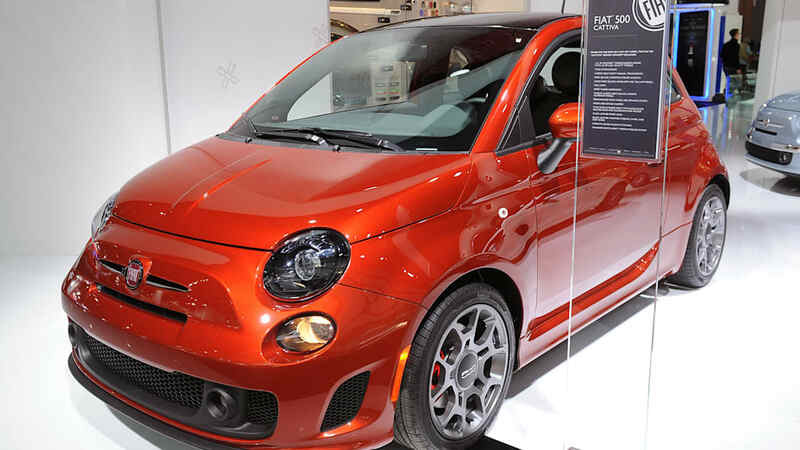 The FIAT brand portfolio in North America continues to expand with the arrival of the high-performance Fiat 500 Abarth, Fiat 500 Abarth Cabrio and the Fiat 500 Turbo. 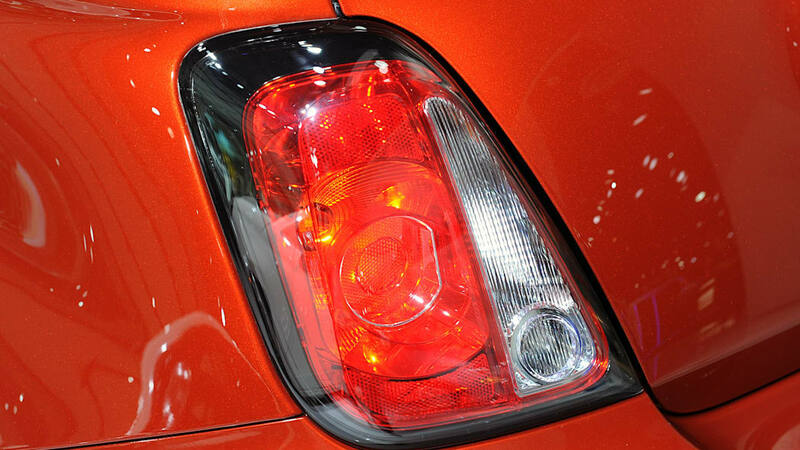 In 2013 the FIAT brand will launch the Fiat 500e, a full-electric version of the Fiat 500, and the Fiat 500L, a new five-passenger model that will expand FIAT's brand style and efficiency into the growing B-segment.